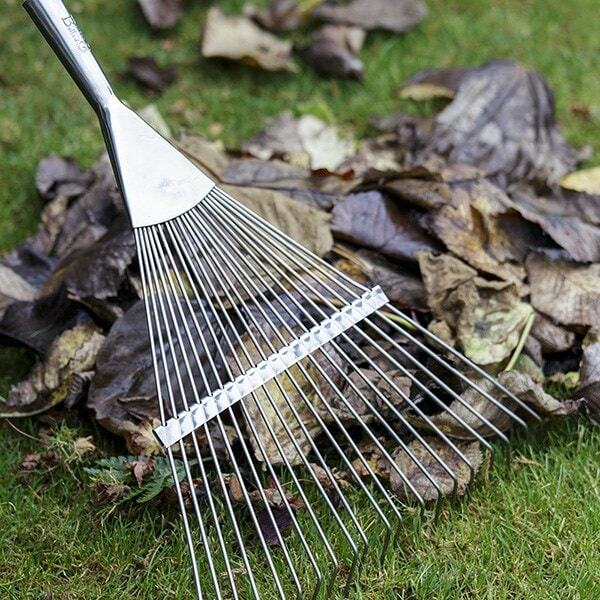 RHS-endorsed rake with 25% more tines than a standard lawn rake for quicker, easier clearing of moss and thatch. Made from stainless steel for rust protection, the flexible round tines move smoothly over the lawn’s surface for efficient, shock-free raking - with the straight edge helping you reach right to the corners. Fitted with a long, lightweight smooth ash handle for comfortable use. Includes leather hanging strap.